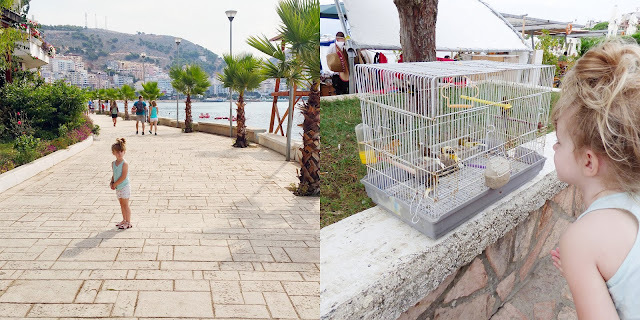 After the first day at sea sailing, the next morning found us in Sarandë, Albania. 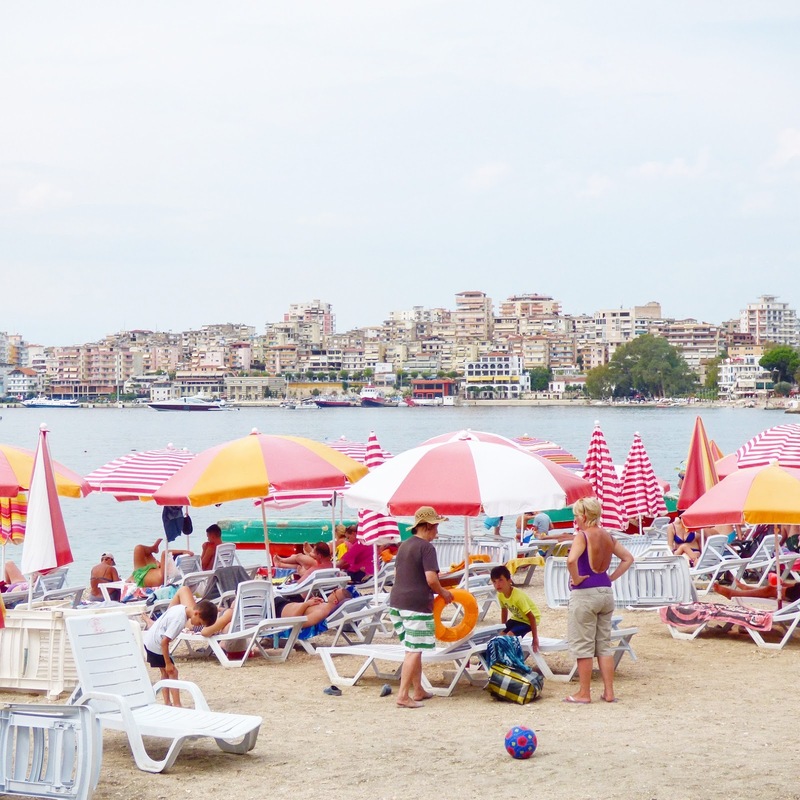 The 20,000 person town is one of the hotspots for tourism on the Albanian Riviera. 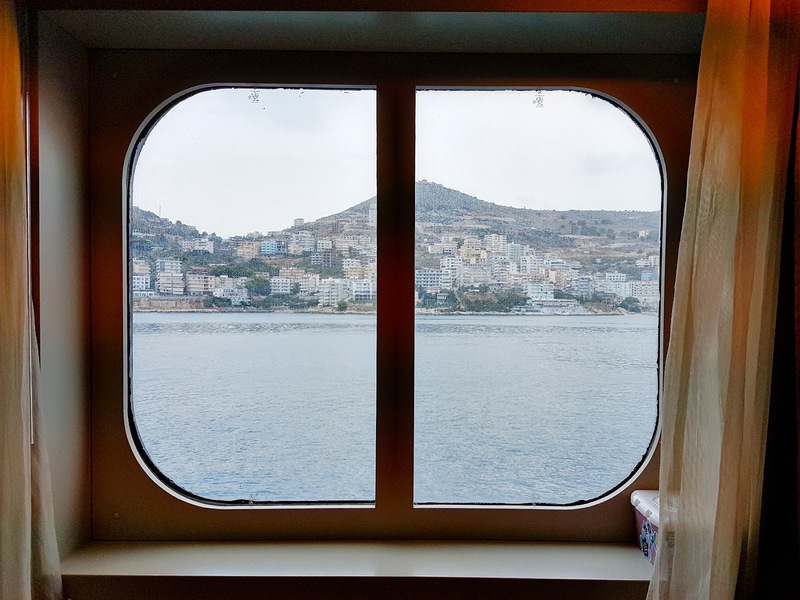 The view of the town from the nice lounge and reading area on the 10th deck of the ship. We had to tender to the shore so we hopped on a boat and headed out. 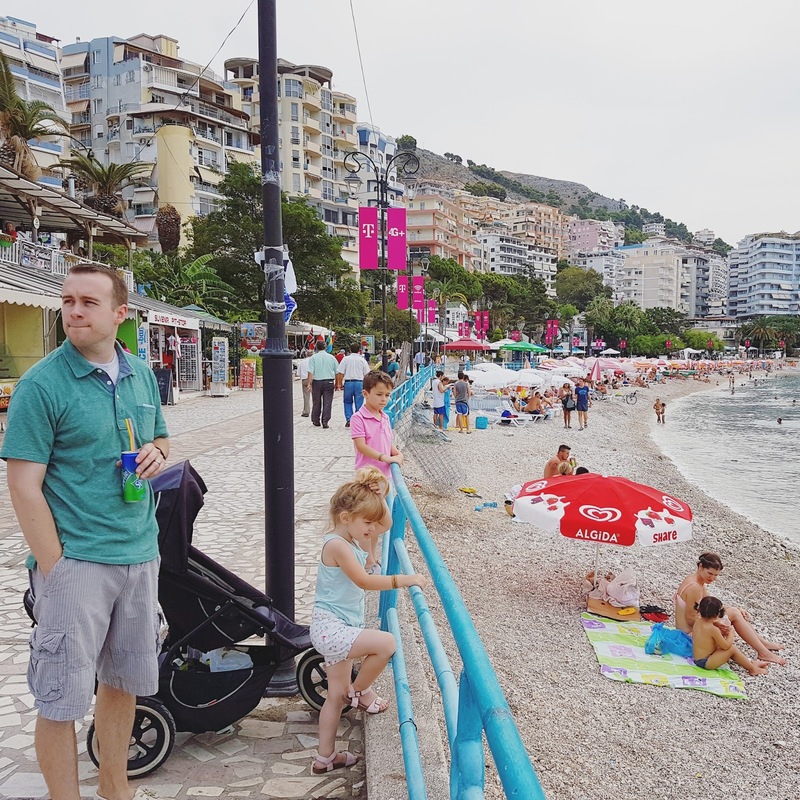 The town sits on an open gulf on the Ionian Sea and has pleasant beaches that have become more and more popular since the fall of Communism in the 90s. 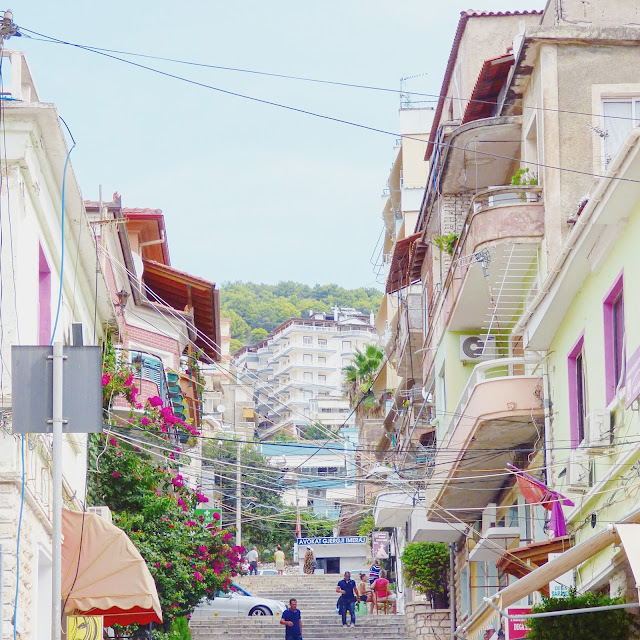 The area is also a melting pot for various cultures including Greek and Turkish minorities. Chris and Fox at the end of a pier skipping rocks in the water. As we walked along I spied this charmingly colorful alley. Love! Kids having too much fun ;) Randomly placed flowers for the win. Jane exploring Albania. Her love for birds is no joke. Tourism is the major economic activity here so there are a lot of hotels, apartment buildings, and cafes. Fun in the sun on the Albanian coast. Loved the shape of these balconies. Along the beach promenade there was a fun little market area with vendors selling all sorts of wares. I found this colorful little bowl. 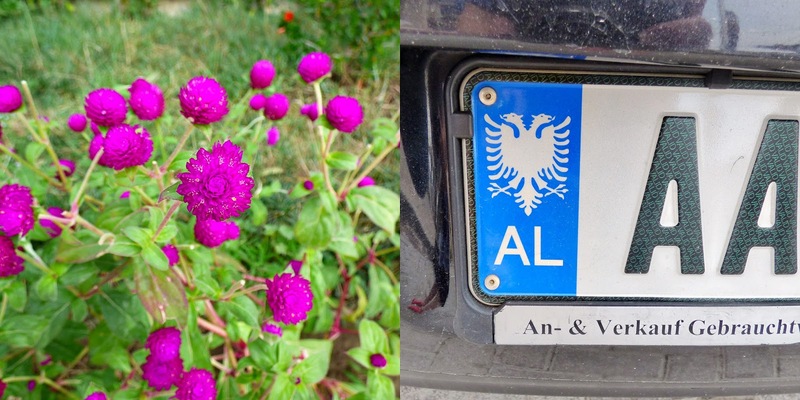 America supporting the Albanian policia. 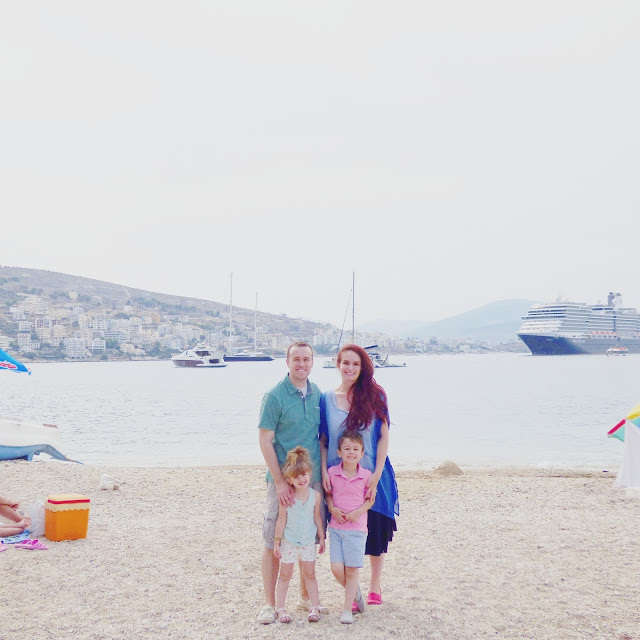 Our family in Sarandë, Albania on Wednesday August 24th 2016. What a beautiful town! I want those curved balconies!!!!!! !